Posted July 9, 2015 by Belinda Griswold & filed under Blog, Contraception. 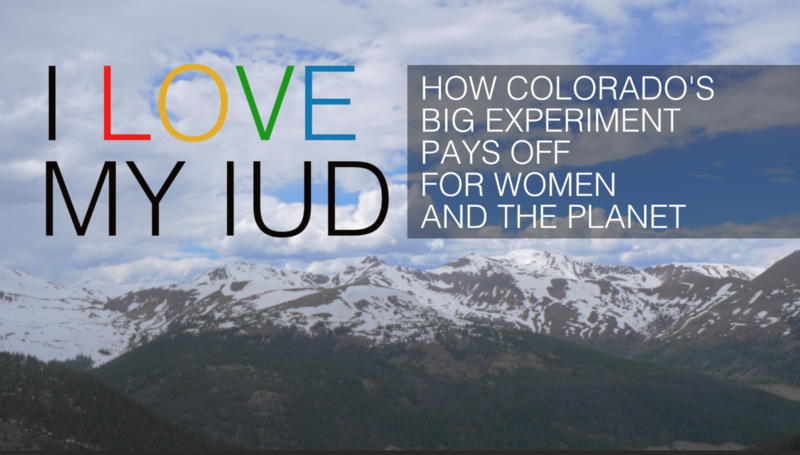 We’re so proud to release our first Women at the Center film today, I Love My IUD. The film tells the inspiring story of the Colorado Family Planning Initiative, which provides free long-acting reversible contraception (like IUD’s and implants) to young women who couldn’t otherwise afford them. It’s pretty common sense: when access to birth control is easier and cheaper, women are empowered to plan their families, and to become parents when the time is right. As you’ll see, this can be life changing. 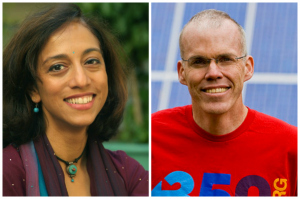 Tomorrow is World Population Day, and as our world becomes hotter, more crowded, and more prone to extreme weather, it’s a good day to ask what things look like when women get what they want in terms of reproductive health. Here in Colorado, the answer is clear – investing in voluntary family planning is one of the most impactful ways to enhance human rights, boost health, education and prosperity, and benefit the natural world we all depend on. 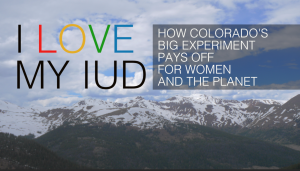 Check out I Love My IUD and let us know what you think!